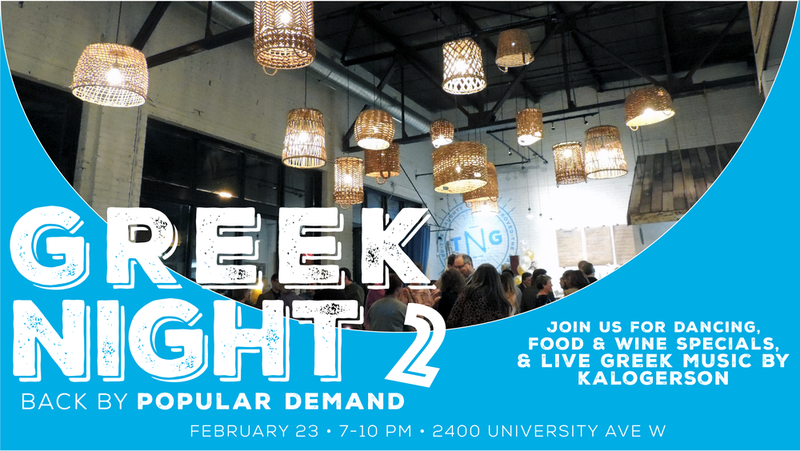 We organized our first Greek Night as a birthday celebration for The Naughty Greek: our first location at Snelling Ave had just turned 2, and we had opened our University location a year ago. It was huge! We brought in a Greek band, we had food & wine specials, and it felt like the whole neighborhood came to party. As the night went on, we realized that there was a thirst for this kind of celebration and cultural experience — and we wanted to be the ones to provide that to our community. This time, we were inspired by Apokries. In Greece, Apokries is the three weeks preceding Lent, and it’s a non-stop party across the country. Different cities and villages celebrate in different ways, but there’s a carnival spirit that everyone embraces, with lots of good food, music, and dancing. We figured it would be a perfect distraction from the cold, mid- winter blues! 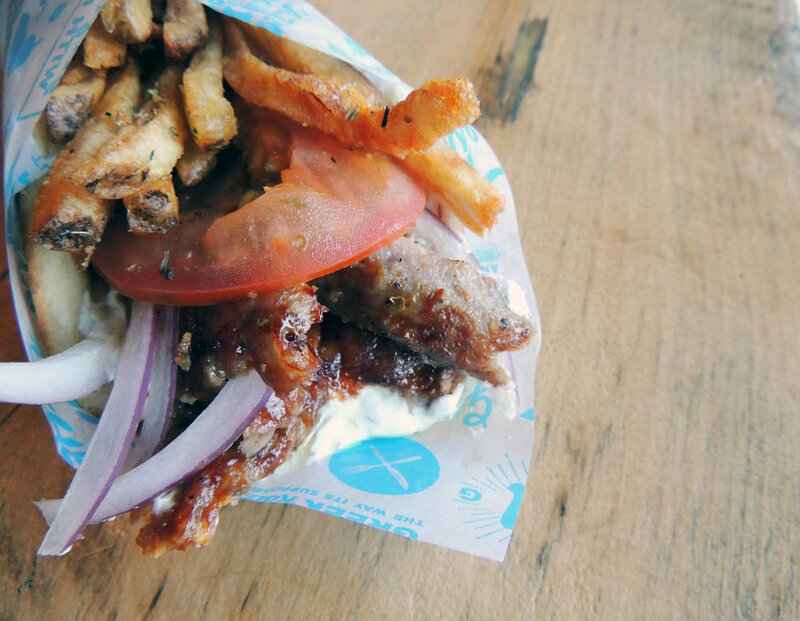 We’re a fast-casual restaurant in St Paul, with a passion for bringing Greek hospitality to the Twin Cities! We specialize in scratch-made Athenian street food, with hand-layered pork and chicken spits, family recipes, and a magical combination of local & imported ingredients. Our first location, at 181 N Snelling Ave, is unabashedly cozy — where our personal approach to service shines. Our second location, at 2400 University Ave W, is like a big party! We’ve got space for everyone, and we frequently host events. TNG•University is also the site of our Catering department.